We have partnered up with talented artist Brendan Milos to help create some high quality artwork pieces for our Enemy Artwork Project. This is a collaborative fan project to create artwork for all of the Majora’s Mask Enemies in the game. His latest piece of art is his take on the Nejiron. 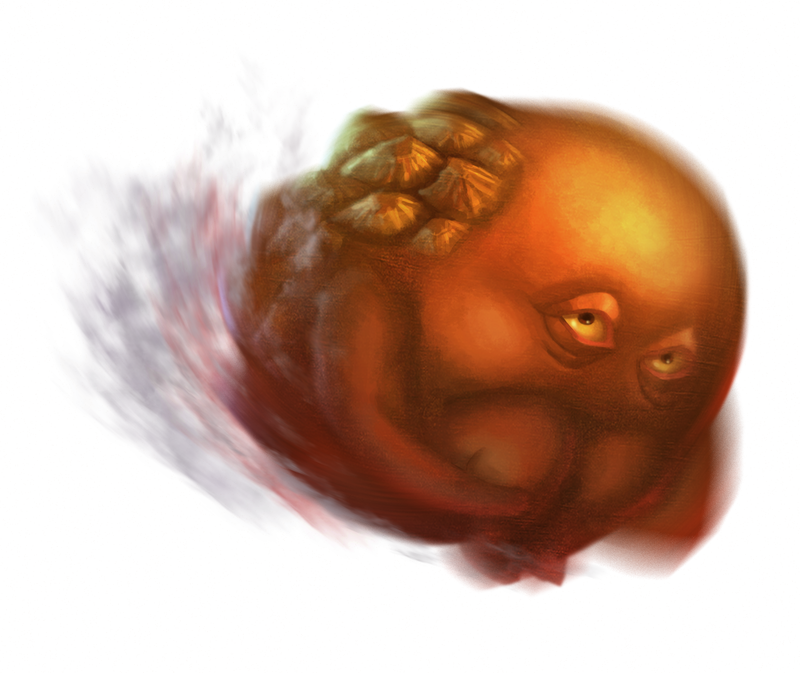 These warped Goron-like enemies can be found on the Road to Ikana, as well as within the Stone Tower Temple. They will roll towards Link, trying to squash him, while also exploding if they have been attacked. Certainly one of the more twisted enemies that appear in the game. You can see a thumbail version of the image to the left, but go ahead and make the jump to see the full sized image, along with where you can find some of Brendan’s other pieces of enemy artwork. Brendan will be creating some additional artwork pieces for the various enemies, as well as tackling some of the bosses from the game. You can you can let us know in the comments below which enemies you’d like to see Brendan illustrate next. Below is the newest piece of fan artwork and you can click it to view a larger version. You can also check out our Majora’s Mask Enemy Gallery to see all of Brendan’s artwork to date.